It’s summertime and folks are getting ready for some summer treats! 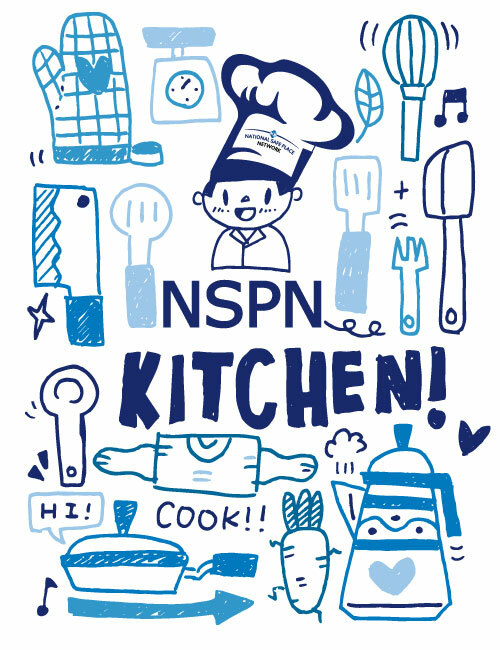 Get ready to open wide for the NPSN Kitchen Cookbook! The staff at NSPN put together a yummy set of summertime beverages, snacks, starters, entrees, sides, and desserts just for you! We hope you have fun recreating these tasty treats, but most of all, we hope you enjoy EATING them! Happy Cooking! Remember when you were a kid and you used to stare at optical illusions? Ok, well maybe you still do… we won’t judge because quite frankly, we do too! Here are some fun illusions that might help relieve some stressors of your day. Go ahead, take a brain break! You deserve it. Ain’t got time for that? (Because of March Madness of course!) Check out some fun March Madness party ideas! We hope you enjoyed this Brain Break today! Don’t forget to pop back by NSPNsights and check out some useful information we actually write about and post. We have some exciting topics coming up and even some awesome guest bloggers! 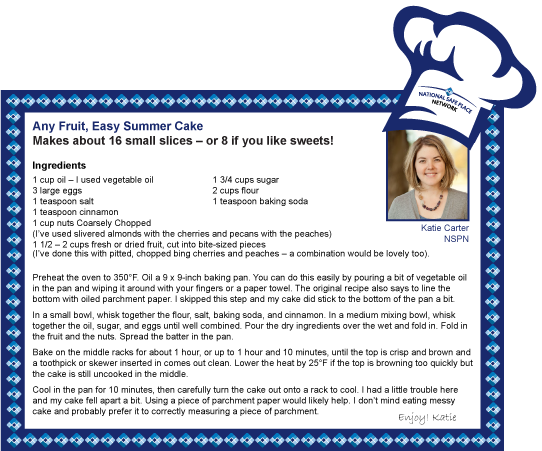 Any Fruit, Easy Summer Cake – This Brain Break was brought to you by: Katie Carter, National Safe Place Network – I love cooking and reading about cooking. I gobble up food blogs and new recipes as a hobby. I came across the recipe (from Big Girl Small Kitchen at ow.ly/zRO2d) after a weekend of overly enthusiastic fruit-shopping and a lot of cherries to consume. The wonderful thing about this recipe is you can make it using just about any fruit and nut combinations. Enjoy!